This article is presented by Dr. Pepper. 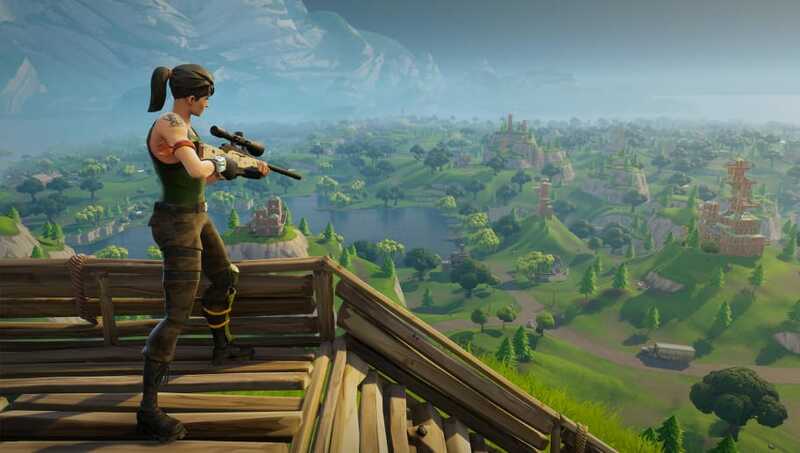 ​Fortnite Battle Royale has become a smash hit that has taken the battle royale gaming genre by storm. Players can dive in for quick matches and quickly transform the battlefield with a multitude of building options and weapon combinations. The best way to enjoy Fortnite is with a custom tailored setup, designed to give the player maximum comfort and the best ways to optimize their experience. Here are some of the best items to consider to help create the best Fortnite gaming experience. The mouse of choice for Tyler "Ninja" Blevins, ​this Logitech mouse not only looks great with its sleek design, but it will enhance your game experience. The mouse has 11 programmable buttons, allowing the user to bind any of their macros to a quick-to-push button that allows the aspiring builder to build much quicker. This mouse can be found on Amazon for $43.95, which for the functionality it provides is an affordable price sticker. This ​Corsair brand keyboard is an iconic mechanical keyboard used by Ninja, among other popular streamers. With a comfortable rest and a reputation for precision, this keyboard is perfect for longer gaming sessions. This Corsair keyboard will run players $139.99 on amazon, but it's well worth the cost. This ​high-end gaming chair is based on the chairs used in Formula 1 racing and NASCAR, and it provides the ultimate in comfort. A good gaming chair can make the difference between cutting a session short out of discomfort and diving into continuous matches for the victory. This is a top-of-the-line chair that comes with a steep $399 price tag, though no other chair can compare to how comfortable it is. Playing duos or squads on Fortnite will require players to be able to communicate clearly to their teammates and to hear them. ​This headset does both, mixing high-quality audio fidelity and comfort. The headset also comes with noise cancellation, allowing the player to focus entirely on the game. This headset is a high-quality piece of equipment, and will cost $229.95 on Amazon, easily worth the price for a perfect audio experience.